Have you ever wondered why so many diets fail? After all, all of them come with certain guidelines and rules whose primary purpose is to ensure a person is on a right track. The reason a vast majority of diet plans prove to be unsuccessful is that dieters adopt or don't get rid of unhealthy eating habits that undermine their effort. 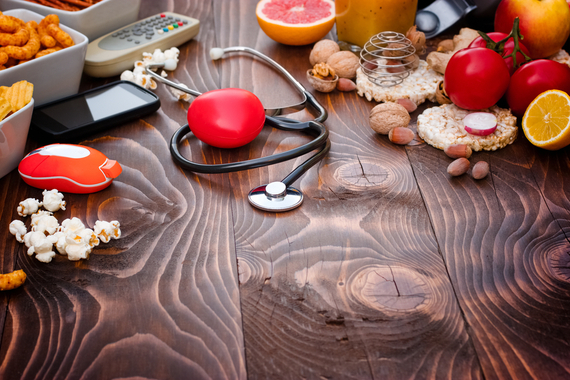 Throughout this article, you're going to see how unhealthy food habit affects your diet plan. Are unhealthy eating habits that common? With a massive effort of various governmental agencies as well as non-profit organizations, during the past two decades, the consumption of healthy foods such as fruit and vegetables has improved. However, the healthy eating pattern has been outpaced by the increased consumption of unhealthy foods, according to a study published in the Lancet Global Health. The extensive study analyzed the diet quality in 187 countries, covering 4.5 billion adults or 88.7% of the global adult population. Dr. Fumiaki Imamura and a team of researchers at the University of Cambridge School of Clinical Medicine evaluated global consumption of key dietary items by nation, region, age, and gender in the period between 1990 and 2010. The scientists included 325 surveys to analyze the consumption data. The findings showed that older adults had better diet habits than younger adults. 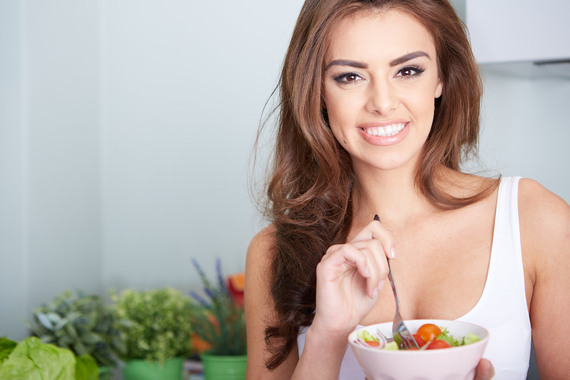 Furthermore, women had healthier eating habits than men. The scientists who worked on this study admit the results are quite worrying because increased intake of unhealthy foods outpaces increased consumption of healthy items across most world regions. Does wrong food habit damage the diet plan? Yes, your habits regarding consumption of healthy (and even unhealthy) food have a major impact on the entire diet plan. For example, a lot of dieters have wrong strategies that usually include replacing their favorite treats with some healthier, but a less-desirable option, according to a study whose results were published in the journal Psychology & Marketing. Meredith E. David and a team of scientists at the Baylor University from Texas conducted this research to assess the common food habits and strategies used by dieters to achieve their goals. The study included 542 participants and assessed their level of self-control. The findings showed that the best diet plan is the one wherein the individual concentrates on adding healthy foods and its success depends on the wise avoidance strategies and overall approach. Ideally, instead of focusing on different rules to avoid one's favorite treats, a dieter should pay more attention to the consumption of healthy foods that he or she really likes. Why? It's because when a person is restricting himself/herself from eating their favorite foods, their diet plan might be doomed to fail. After all, the more you restrict yourself from eating something, the more you want it, and sooner or later you're bound to break your rules. In order to prevent diet plan failure, it's recommended to allow yourself to have the occasional treat while increasing intake of healthy items such as produce. The study also showed that dieters whose diet plans prove to be successful, tend to adopt more motivating strategies associated with increased consumption of healthy foods and exclusion of unhealthy items. The dieters with high self-control do not assume that healthy food is some punishment, and they also don't consider their favorite treats as a threat. Their advantage is in the fact they establish a healthy balance allowing themselves to eat their favorite meals from time to time, but focusing more on foods that are good for their waistline and overall health and wellbeing. On the other hand, when asked about certain rules to guide their food intake, dieters with low self-control reported complete avoidance of foods they deemed unhealthy. The scientists concluded this is why most diet plans fail entirely. The mindset of people with low and high self-control is completely different. For instance, when it comes to healthy foods to include into a diet plan, dieters with high self-control think of foods they really like to eat. On the other hand, people with low self-control usually think of foods they don't like. Assuming you are forced to eat those healthier items is a huge threat to your diet plan. Healthy food is a broad term, and there's always something you like. Instead of thinking of these items as a punishment, you should explore and find your favorite foods, then increase their intake. The reason why most diets fail is that dieters have a wrong approach to unhealthy and healthy foods. The research has shown that dieters usually assume the unhealthy food is something they like but have to quit while healthy food is something they are forced to eat. Instead of this negative mindset that poses as a doom for every diet, you shouldn't really focus on restrictions. Simply, focus on increasing consumption of foods that have high nutritional value. Instead of making drastic changes, you should start gradually and develop healthy food habits that will become a standard part of your lifestyle.